Bouldering in Oregon is always a surprise to me. 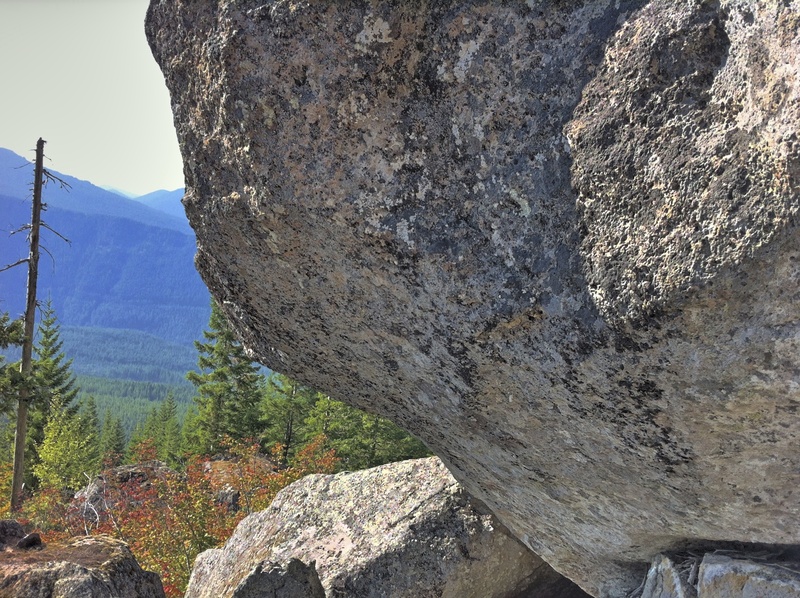 I was out near Parkdale a long time ago bouldering and decided to post a bit about an area above the West Fork of the Hood River. 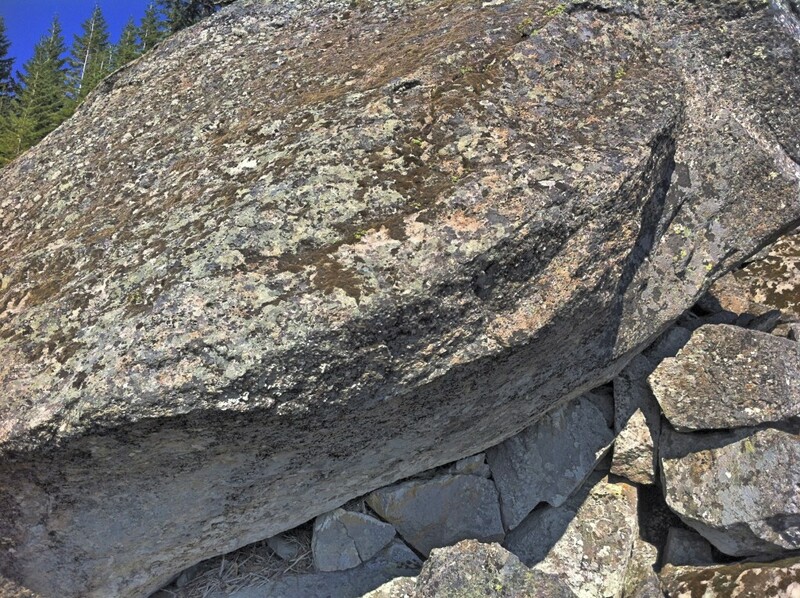 If you drive south of Hood River and head towards the shadow of Mt Hoods northeast face you will find some alpine roads that weave up and across the foothills to a group of boulders that look like someone threw them from Leavenworth to Mt Hoods skirt. Unfortunately there are only a few boulders at this area, but the 5 mile radius around it holds potential for a lot more bouldering and development to someone who is excited about buschwacking to random boulders scattered all around the hillside. I’ve wanted to blog about this area for a while since it is so close to West Fork Boulders. You simply drive up the hill from West Fork of Hood River and the bouldering area there and the road takes you to this area and some breathtaking views nearby. Like I said if there were only about 20 more boulders like this, this little area would be a notable spot. I visited to try The Cave Route, a nice V7 that goes out of a , you guessed it, a cave! The problem starts on thin holds under the steep cave’s roof then pulls out to a sloping arete and eventually the topout which I’m embarrassed to say I didn’t reach this time out. The rock here is volcanic, just like many areas around Oregon and southwest Washington, but this area looks and feels like granite even though it is not. 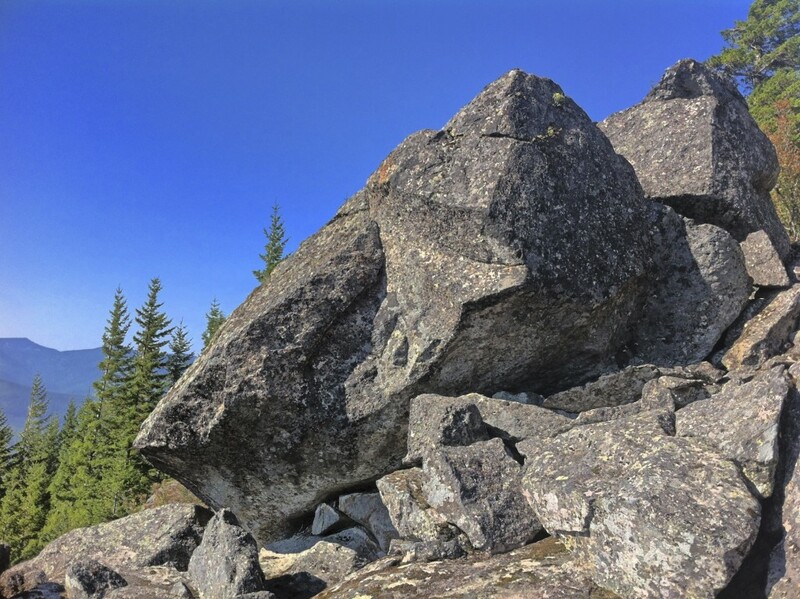 There is luckily a chain of boulders just like these that hide out on many of the mountaintops from Larch Mountain in Washington all the way up to Mt Saint Helens and back through to Mt Hood. I’m really hooked on this type of rock and have spent a great deal of time hunting out areas like these to boulder. Unlike the bouldering areas deep in the Columbia Gorge these spots are clean enough that cleaning is almost unnecessary.